YERUSHALAYIM – After months of pressure by Egypt, Israel, Russia and even the United States, Palestinian Authority chief Mahmoud Abbas has accepted the conditions of a “calming agreement” between Israel and Hamas, brokered by Egypt, a report said Thursday. Abbas’s agreement will enable the first stage of the deal between Israel and Hamas to move ahead unimpeded, the London-based Al Hayat newspaper said.Officially termed a pre-ceasefire agreement, the deal entails Hamas halting its campaign of rioting at the Gaza border fence and its dispatching of terror balloons and kites into Israel, in exchange for a partial easing of the Israeli security restrictions on Gaza. 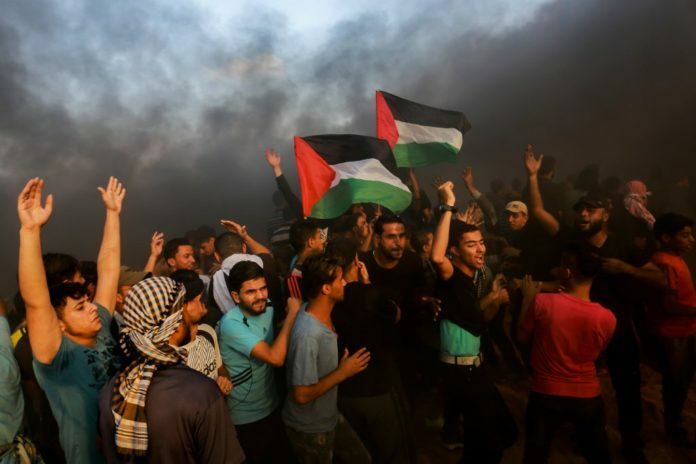 If the agreement holds, it could be formalized as a ceasefire, and move on to more advanced stages, such as Israel receiving its missing soldiers and civilians who are held by Hamas in exchange for the release of Hamas terrorists from Israeli prisons.